Stories Worth Sharing is an initiative which strives to revive the art of storytelling. Himanshu Poswal and Mohit Munjal, two engineering graduates from Delhi, are the founders. When travelling, they witnessed a group of people who put the phones away and were sharing stories. They realized they should rekindle this art among people. 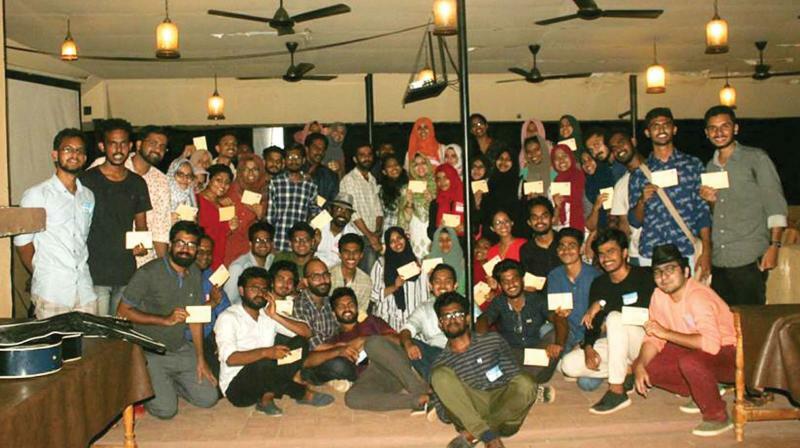 Something that started among their circle of friends is now happening around the country, and they have successfully organised over 150 events. The next event will take place at Kanthari International, Thiruvananthapuram, on January 12, from 3 pm to 8 pm. Twenty featured speakers from different districts would be speaking at the event. There will also be a musical evening and many other activities. Categories: Healing, Personal Storytelling, Storytelling Events, Storytelling It's News!